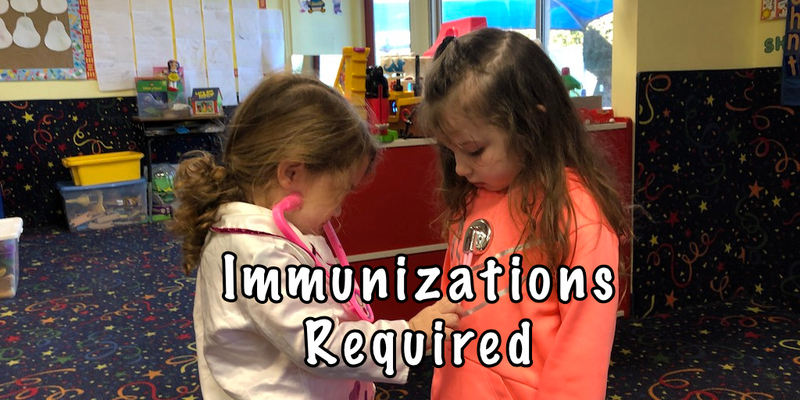 With the recent outbreak of measles in the news again, we’ve been getting a lot of questions about our immunization policy. All children must be immunized following the CDC’s Immunization Schedule. Parents must keep the office informed of updates as they occur by providing a copy of the Yellow Immunization Card. There are no exceptions or exemptions. All teachers must be immunized. There are no exceptions or exemptions.